The brokerage firm is the latest to adopt an open workplace office strategy, affirming the concept is lasting and spans across industries. Colliers International has adopted an open workplace strategy in its North County San Diego office. The new space is the culmination of a three-year project to transition to an open and collaborative model. It includes flexible workspaces and ample collaborative and communal spaces as well as integration of technology and outdoor amenities. 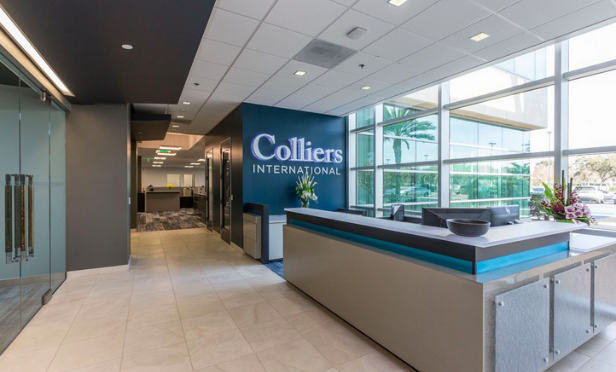 Colliers’ Central San Diego office completed a similar transition in 2016. We sat down with Andy La Dow, managing director of Colliers International San Diego region, to talk about the new workplace strategy and what it means for the firm’s office practice. GlobeSt.com: Why did you adopt this new workplace strategy?